The Professional Regulation Commission released the special professional licensure board examination for Architect in Abu Dhabi, United Arab Emirates; Al-Khobar and Riyadh, Kingdom of Saudi Arabia and in Doha, Qatar last October 2014. There are 276 out of 363 passed the Architect Licensure Examination given by the Board of Architecture. Arch. Rolando L. Cordero is the board chairman and with two other members, Arch. Yolanda D. Reyes and Arch. Fidel Jose R. Siapno. 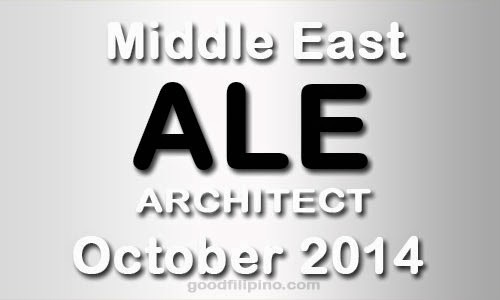 Comments or suggestions about "October 2014 (ALE) Architect Board Exam Results (Middle East)" is important to us, you may share it by using the comment box below.